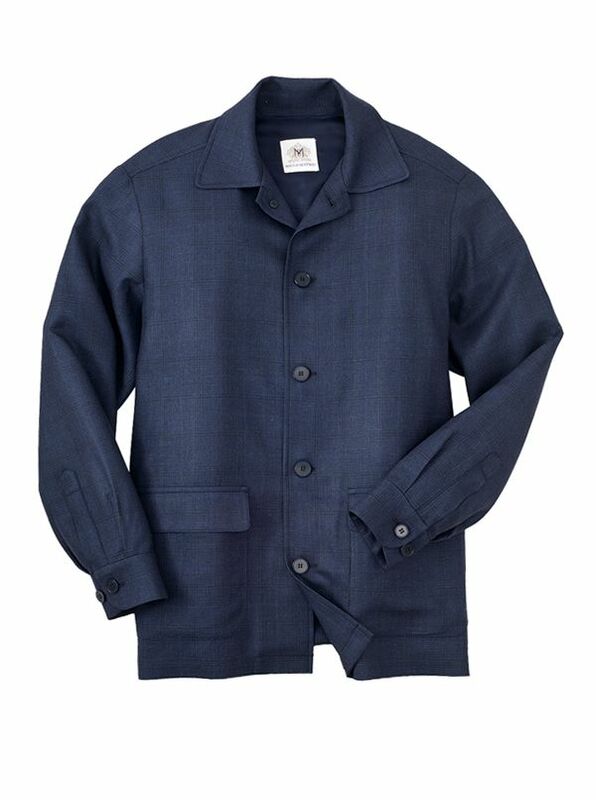 Robinson Wool and Silk Soft Jacket is all about comfort without sacrificing taste and style. Tailored in America of lightweight 52% wool/48% silk with a lightly textured tonal windowpane pattern. An excellent alternative to conventional sport jackets and blazers, with soft shirt collar, 3 pockets, button cuffs. Unlined.